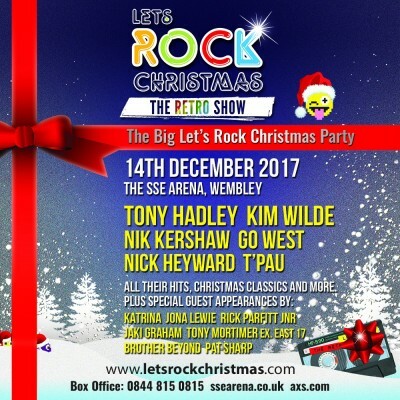 really enjoyed the Lets Rock Xmas concert yesterday!! So many great songs and performers and a really enjoyable evening! A well done too to Tony Hadley for bringing everyone together on stage! A packed house too with a really great atmosphere and well done to the DJ who kept things ticking over between bands! Loved the whole experience from start to finish! It brought back memories of the 80's, music I listened to through my teens. The lighting and staging were brilliant as were the artists, they sounded fantastic!! It would of been better if everyone sat down and not stand all the time we were there!! !